You can’t have Christmas without a mince pie. But you can’t have a mince pie without mincemeat. The luxurious, alcohol infused dried fruit mixture that everyone loves in England can be quite hard to find in America. Even harder to find is suet (a key part of the mixture), however this recipe is very easy to make and uses butter instead of suet. Measure all of the ingredients except the alcohol into a large pan. Heat gently, allowing the butter to melt, then simmer very gently, stirring occasionally, for about 10 minutes. Allow the mixture to cool completely then stir in the brandy, rum or sherry. Spoon the mincemeat into sterilized canning jars, seal tightly, label and store in a cool place. *The butter might make the mincemeat look slightly cloudy in the jar but this disappears once the mincemeat is cooked in mince pies, tarts etc. 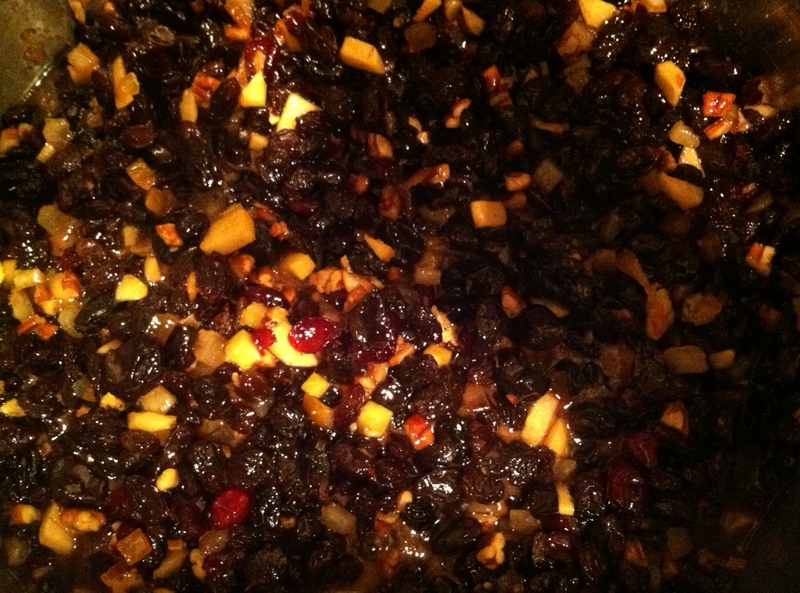 The mincemeat can be made up to six months ahead – store in a cool place.